We all love the simplicity and convenience of kegging, but bottling for transportation is an annoying inconvenience. We either deal with complicated counter-pressure (CP) fillers or put up with the oxygenation and foaming of filling from a tap ... or we just give up on bottling altogether. In true Blichmann Engineering fashion, the BeerGun™ takes aim at all of those common problems and easily solves them with high-quality design, expert engineering and intuitive ease of use. 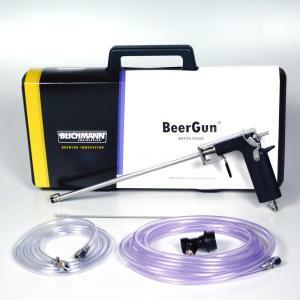 In 2005 the BeerGun® bottle filler revolutionized the way homebrewers bottled their kegged beer. Complicated counter-pressure fillers were obsoleted, and bottling became effortless and enjoyable! 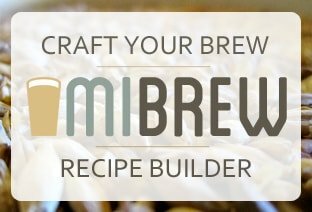 The patented BeerGun® bottle filler became the overwhelmingly dominant filler of choice and it's helped tens of thousands of homebrewers bottle beer and win countless brewing awards. Something Blichmann is very proud of. At Blichmann Engineering, they listen to homebrewers! They've taken feedback from the original Beer Gun and have created the New BeerGun® bottle filler! More ergonomic, faster and easier to clean, and even more intuitive!